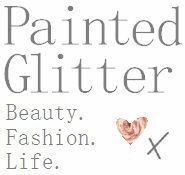 So at the start of this week one of my best friends moved to Italy for a year abroad as part of her uni course (you can read her blog on her journey here). Unfortunately this means very little contact with her as she currently has no internet and texts/calls cost a bomb, so we will be relying on good old fashioned letters to keep in touch! Anyhow, a couple of weeks ago as a little present for her before she left, a few friends and I organised a day out at Go Ape. Three words: It. Was. Hilarious. 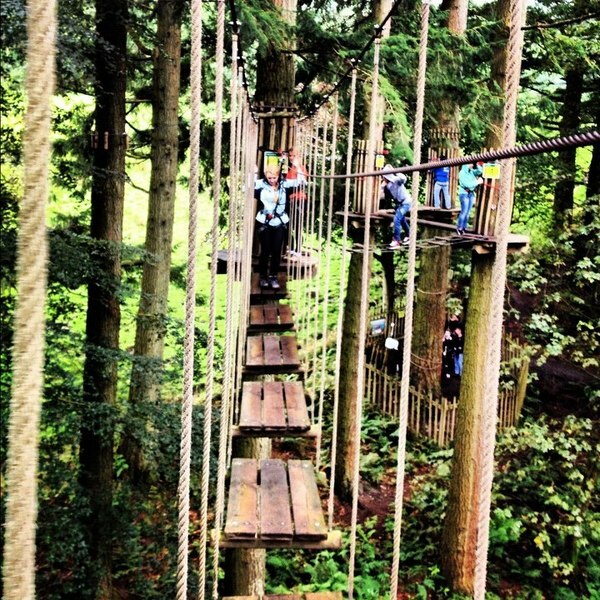 Go Ape describes itself as a way to 'get in touch with your inner Tarzan'. Pretty accurate description I'd say! 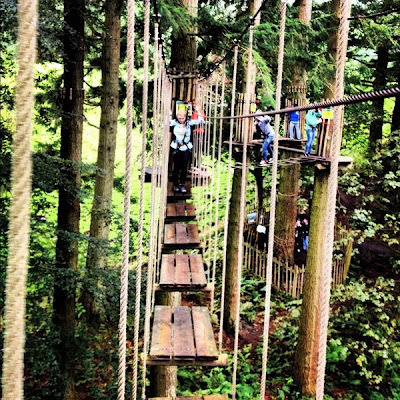 It is basically an adventure park with zip wires, Tarzan swings (the scariest thing ever! 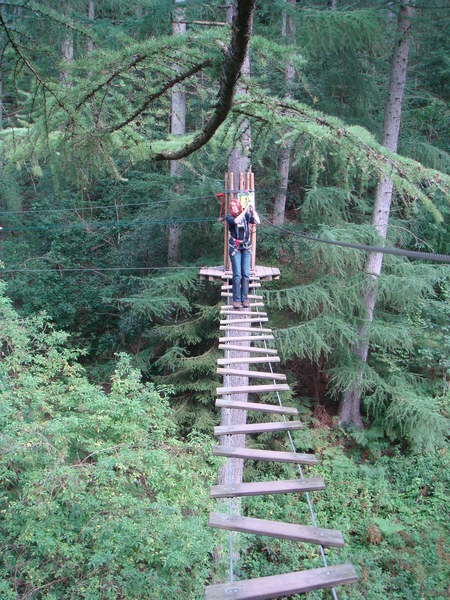 ), and numerous other tree top crossings such as tunnels, ropes and bridges. ...now that may not sound that high, but come back when you've stood on that tiny platform and attached yourself to a mahoosive tree with a measley little rope and tell me that is not high! It is such an adrenaline rush. The longest zip wire was a massive 200 metres long! The zip wires were definitely the highlight of the course...I would definitely recommend going first at this point. Standing at the bottom watching my seriously uncoordinated friends land with pure elegance and grace like a sack of spuds (i.e. horizontally and face first in a pile of wet mud) without a doubt made my whole day...I literally cried with laughter. 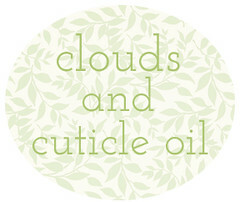 But the course takes roughly 2-3 hours to complete altogether, so it doesn't actually work out too badly price wise! Plus if you're a student, just use the code STU654 at the checkout for 20% off! Just don't forget to take your student card on the day! You can book your Go Ape session here. I would seriously recommend this to anyone who is a bit more on the adventurous side and loves that bit of an adrenaline rush, it really is a fab day out.